Interview with Terry Oldfield & Soraya by KERANI on october 17, 2014. Click on photo for interview, video and links. On june 23, 2012 before his concert in Naaldwijk, the Netherlands, Asher Quinn gave an exclusive interview to Kerani for Peaceful Radio. Click on photo for interview with Asher. In june of 2012 Kerani gave an exclusive interview to Peaceful Radio. On September 27, 2012 Rodrigo Rodriguez gave an exclusive interview to Peaceful Radio. The Dutch artist Kerani spoke with him. Click on photo for interview. 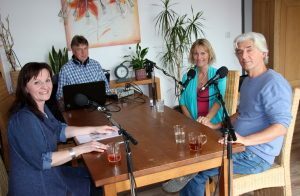 On September 27, 2012 Sabine van Baaren gave an exclusive interview to Peaceful Radio.